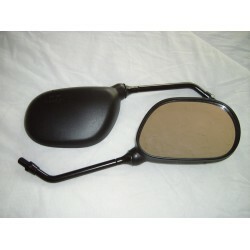 Enhance the looks of your motor bike or kitcar or just replace your existing mirrors - very cheaply!.. 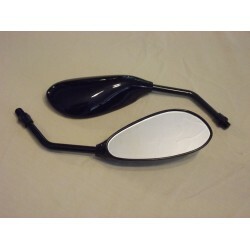 These super F1 style gloss black mirrors will enhance any bike, trike or kitcar.Beautifully mad.. 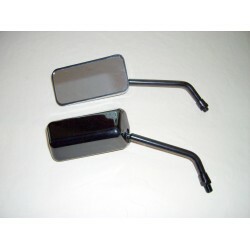 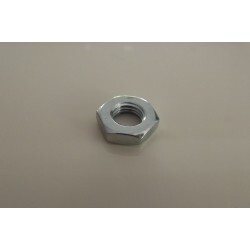 These super F1 style mirrors will enhance any bike, trike or kitcar.Beautifully made & could eas..
Harley Davidson mirror adaptor straight, enables a standard 10mm mirror to be fitted the Harley Davi..
Cadmium plated M10x1.25 half nut/locknutCadmium plated M10x1.25 half nut/locknutPrice is per itemWe ..
Great mirrors for IVA test. 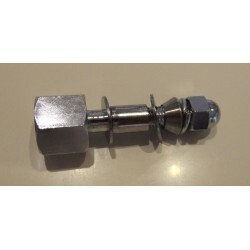 E marked, large flat glass gives an excellent field of view. 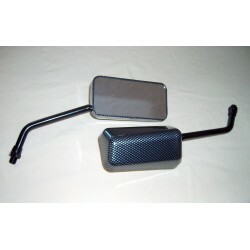 These ar..
Great mirrors with large flat glass gives an excellent field of view. 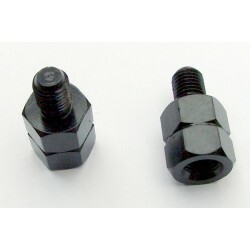 NO ‘E’ MARKING These are..
Mirror Adapters - Pair, converts Yamaha LH thread to RHYamaha motorcycles have a LH thread on the ri..